В этом уроке будем рисовать воду, а точнее капли воды, простым графитным карандашом. Сразу предупреждаю, что этот рисунок не будет гиперреалистичным. Я его максимально упростил, чтобы облегчить вам работу. Но при этом капли все равно смотрятся неплохо. 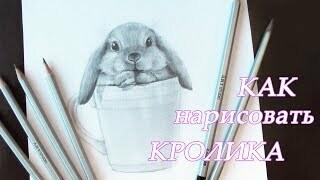 Кроме объяснения, как рисовать капли, в этом уроке вы найдете массу полезной информации по теории и практике рисунка карандашом. Надеюсь, что узнаете для себя что-то новенькое. Желаю всем удачи и приятного просмотра! Список материалов: бумага А5, графитные карандаши koh-i-noor (твердость 2В, 5В), растушевка, ластик клячка, белый пастельный мелок. Этот ролик выпущен в рамках рубрики туториал (туториал - это такой вид видео-уроков на канале Азбука рисования, где вам будут предложены различные простые, но при этом интересные и прикольные рисунки с подробными пошаговыми инструкциями по их созданию). Hi. 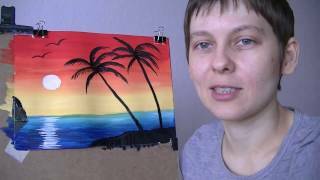 This is another tutorial. 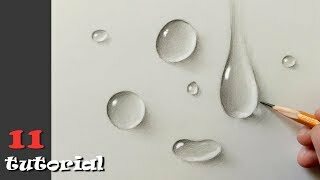 In this video I will show you how to draw a realistic water drop. They will not look very realistic. I did this for simplification.. But the picture still looks good. Though simple. 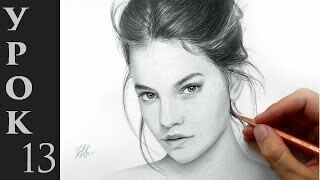 This drawing we will start with drawing..
To me and you was easier to work I have previously done a few paintings In these pictures chose the composition and style of drawing The last sketch will rely. He will hang as a tooltip in the upper left corner.. 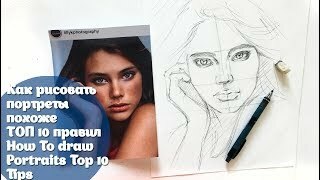 Begin to draw. 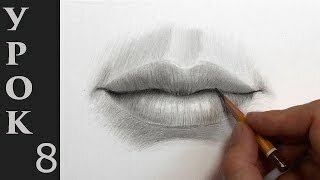 Today I work with a pencil Kohinoor 5V on the drawing paper of A5 format..
Let's start with contours. 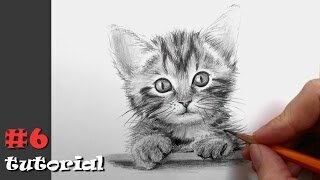 You can draw with sketch. It's not a difficult job. 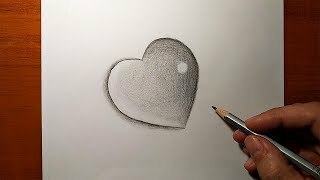 Do not need much pressure on the pencil. We need a pale lines.. If you find it hard to draw a drop in one motion, draw in two stages..
Do the layout and drawing short lines. As in the video. Well. The contour is ready. In the process, it will be a little change. But now we start to draw shadows. 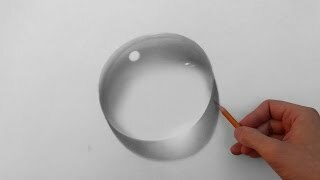 They will make your drawing realistic..
First, let's paint every drop of grey. Let's see how I do. I draw a line from edge to edge drops. The hand does not come off the paper. 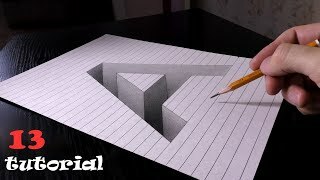 Draw the lines you need are close to each other in one orientation.. I did the first layer. Now on top you need to make several crisscross layers.. 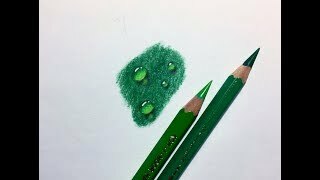 This technique will make the color more even.. If you have a soft pencil, don't push him too hard.. The pressure should be minimal. Therefore it is better to try to hold a pencil, I. We need a smooth tone. To make the tone smoother, use a clean dry cloth..
Ready. Now we start to draw shadows. 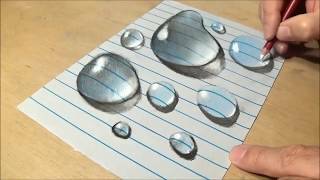 The shadows do any drawing realistic..
A drop of water is a unique object..
Drop refracts light. Therefore, the shadow inside the drop are formed not, as at other objects.. Shadow facing the light source. In this figure, the light is top left. So the shadow inside drops will be on the left at the top. Now I just scheduled them. Moving from the edge to the middle. From the edge of the shadow is very dark, in the middle gradually become lighter. Please note that I now draw rounded lines. They repeat the form of drops..
Now we need to draw the shadows outside. It falls the shadow of the drops on the paper. 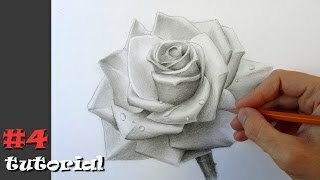 Can draw it as you draw previous the shade.. The first drop is ready. The other draw as well.. This phase of work is completed. We re-use the fabric. Instead of fabric you can use a brush or special tool. Depending on what you prefer to use..
OK. I finished this work. Further, it is necessary to enhance the contrast and reinforce the shadows. To work in the same technique as was working previously..
Oops... this happens when you use weak fasteners. This time I secured the sheet on the table with a soft eraser.. This work is also coming to an end. The next step make using the fabric. This work should be done very carefully. This should make the shade larger and to make smooth transitions of color..
You will agree with me that after that the picture looks better. The fun ahead. 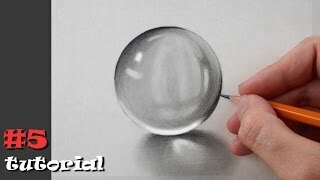 After that, the picture will be very realistic.. So. I pick up the eraser. It is desirable if it is plastic.. 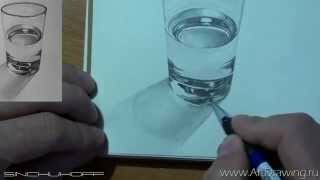 Begin to draw with the eraser reflections inside the drop..
You need to draw a small white pinstripe.. Reflection ready. Next, we will draw a flare..
See how the picture has changed? You can leave it as is. But I still have a little work to make it neater..
Ready. I think the picture turned out pretty good. 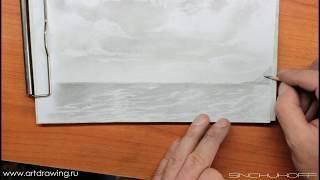 If you want to improve the sense of Shine, I recommend using white pencil or pastel. How it's done I showed in this tutorial. And here is the picture after processing with pastels..
Well. 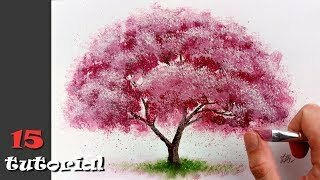 Write what you think about this video. 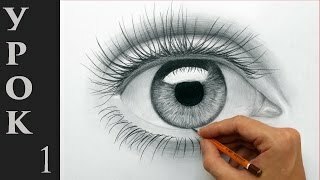 Sign to the channel if You are interested in drawing. And don't forget the bell. It helps to learn about new video..
All for today. I wish you good luck and success. Up to new meetings on the channel. Yet.